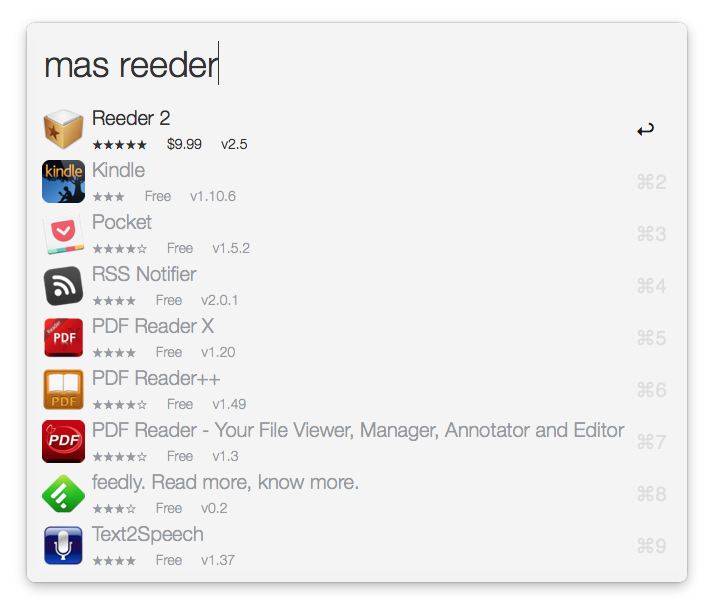 Search the Mac App Store and view search results with artwork previews right in Alfred. The workflow's preferences (keyword — masprefs) allow you to set the maximum search results limit and preferred store country, as well as clear the artwork cache. Additional keywords allow you to open the App Store app's Purchases (“masp”) and Updates (“masu”) tabs.